“The Health and Social Care Act 2008 Code of Practice of the prevention and control of infections and related guidance” requires a WSG and Water Safety Plan to be in place to manage and monitor the prevention and control of infections effectively. Therefore, the duty holder for the healthcare organisation should appoint a WSG to deliver on the development, implementation and continuous review of a WSP. In turn, the WSG should have clear lines of accountability [communication pathways] to the CEO and the Board. HTM04-01 defines the WSG as “a multidisciplinary group formed to undertake the commissioning and development and ongoing management of the water safety plan [WSP]. It also advices on the remedial action required when water systems or outlets are found to be contaminated and the risk to susceptible patients is increased”. The makeup of this ‘multidisciplinary’ group should include those who are fully conversant with design principles, the requirements of water systems and the cause and effect of waterborne hazards. 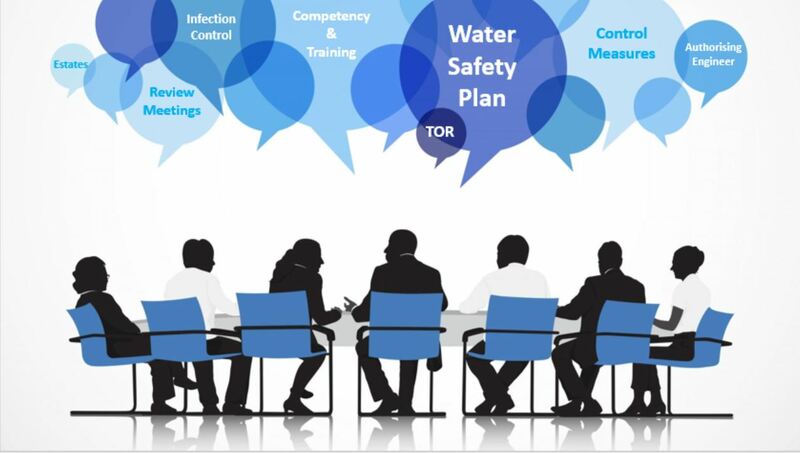 The WSG members are brought together to share responsibility and take a collective ownership for ensuring that all foreseeable water-related risks are identified and assessed, that appropriate control measures and monitoring strategies are implemented and that robust incident protocols are developed. HTM04-01 Part B states “This would normally involve representation from estates (operations and projects), infection control, medical microbiology, nursing, augmented care, housekeeping/support services, an Authorising Engineer/independent adviser, medical technical officers, specialist users of water (such as renal units and departments offering aquatic therapy), and sterile services departments (SSDs)”. The organisation needs to demonstrate that suitable governance, competence and accountability arrangements are in place to deliver safe water to the premises. Keeping this in mind, the WSG features as an assurance group, and shouldn’t be distracted with ‘nuts and bolts’ of an operational aspect. Of course, these matters are of importance but the detail can be dealt with through a sub-group i.e. an Operational Water Group. Thinking about the members of the WSG and remit of the group, then status of compliance is paramount. To ensure the remit of the WSG is achieved the meetings should be chaired by an individual who has appropriate management responsibility, experience, competence and knowledge. This ‘chairperson’ will vary between organisations according to the post held and structure of the organisation, needless to say, this person should be clearly identified in the management policy [along with all others involved in the management of water safety within the organisation]. What is the remit of a WSG? The revised HTM04-01 states that the second aim of the guidance is ‘outlining the remit of the WSG and how this relates to the provision of safe water…’. HTM04-01, Part B, Chapter 6 details the remit for a WSG! The remit elements cover 14 separate issues, ranging from training, competency, risk assessment, water safety plan, surveillance data and maintenance and monitoring protocols. Having a defined remit for a WSG, it allows a group to establish a robust ‘terms-of-reference’. Once the Group’s terms-of-reference have been agreed, using the HTM04-01 remit, then regular WSG meetings can have a defined agenda. The agenda items based on the terms-of-reference will ensure the WSG are delivering on status of compliance. 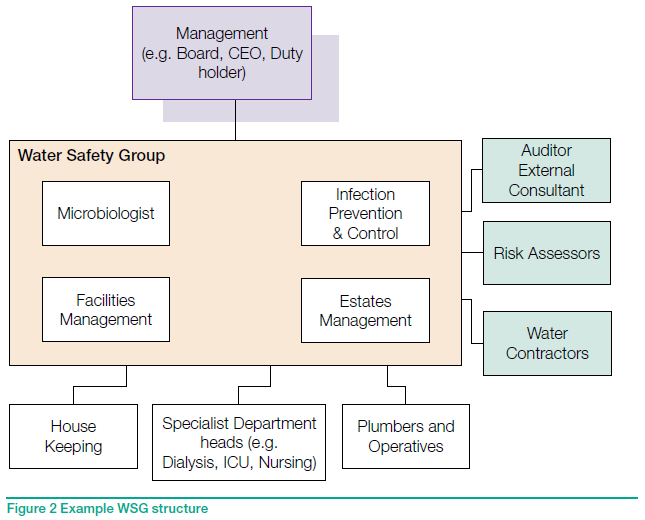 Thereby, given the reporting lines for the WSG, an informed position on the status of water safety for the organisation can be detailed at Board level. In summary, a WSG needs a defined terms-of-reference. It makes perfect sense for this to be based on the remit defined in HTM04-01 Part B. The agenda for group meetings needs to show how the group are delivering on their own terms-of-reference. As a result, the WSG will be an assurance group that is compliance-based with evidence and less operational. However, the operational aspect shouldn’t be lost or ignored, moreover consider the possibility of creating a sub-group that delivers on routine ‘operational’ aspects of water safety. 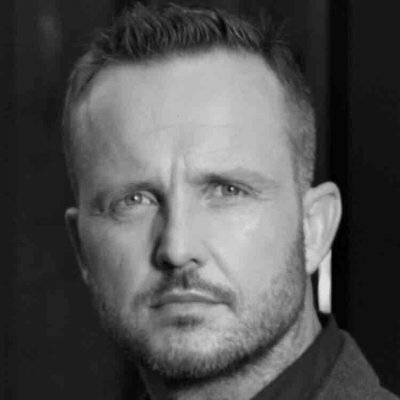 Daniel Pitcher, Managing Director of the Water Hygiene Centre will be presenting on the ‘Water Theatre’ stage at the annual Healthcare Estates conference & exhibition @ 10.15am on Tuesday 9th October. Daniel will be talking about ‘Water Safety Groups’ expanding further on this blog and outlining functions of the group with the intention that delegates can establish a degree of assurance of their WSG.